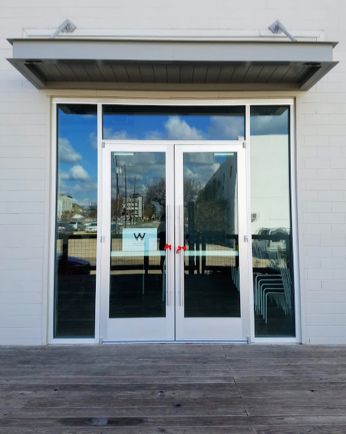 Writespace is conveniently located in Silver Street Studios, in the Washington Street Arts District south of The Heights. Our physical address is 2000A Edwards #208, Houston, TX 77007. 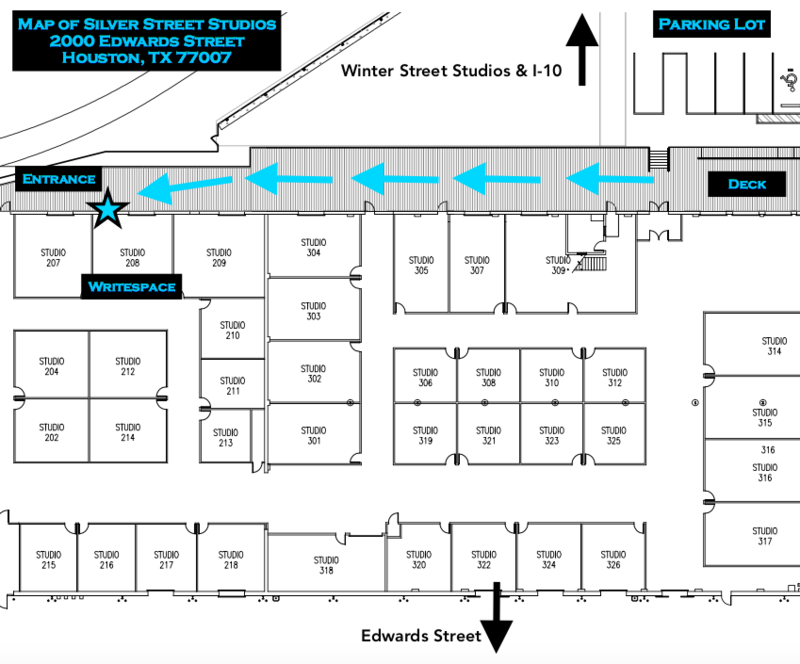 ​There are multiple entrances to the Silver Street Studios parking, depending on which direction you come from. Options A and B are the most dependable; sometimes the gate at Option C is locked. This gate is normally open. If it's closed, please use Entrance A, described above. Momentum Rock Climbing is on your left. Follow the road. Take a right here to the Silver Street Studio entrances. When you see this gate on the north side of Edwards, drive through it. If it is locked, please try Entrance A of B. Pass the Silver Street building on your left and turn left into the parking lot, pictured above. Writespace is located along SIlver Street's outside deck. If there's a big event happening and there's no parking open by the deck in the photo above, please park on Silver Street or on Edwards Street and walk toward the deck. The walk should take less than two minutes.